If J. Stillson Judah described the metaphysical movements as “the mirror of American culture”, then we need to consider first the important share of the New Thought movement within this religious/spiritual phenomenon, with regard to the construction of American identity. One of New Thought’s originalities is its theological marginality, because ever since its emergence, the leaders of the movement have privileged a marginal orientation: the use of a metaphysical reading of the Bible as opposed to a literary understanding, symbolizing the integration into institutional religion. 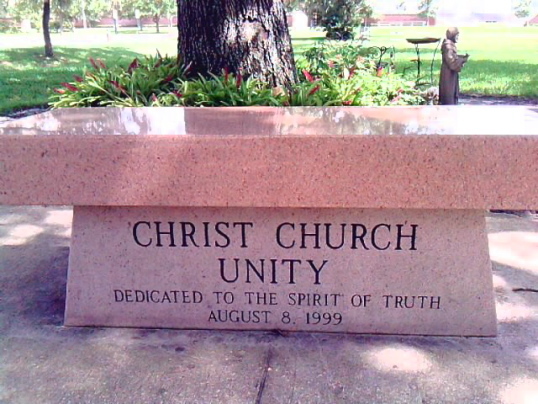 Unity churches stand as one of the core elements of the American metaphysical movement. By focusing on the close scrutiny of one of these churches, this paper gauges the current level of dynamism of this metaphysical trend within the American religious/spiritual landscape. You can either read the full text of this 20 page long article below, or click here in order to download the PDF file (600 Ko).